Nintendo never ceases to amaze its gaming fans. The gaming company has added limited edition Wii collectibles like the Legend of Zelda: Skyward Sword and the New Super Mario Lunchbox bundles. These make the perfect gifts for the gamers in your life this holiday season. No true gaming fan could resist the longstanding market leadership and legendary phenomena of either Super Mario or Zelda. Both games have been in circulation since as far back as the original Nintendo gaming systems. Now Nintendo adds collectible status to their lore and legend. 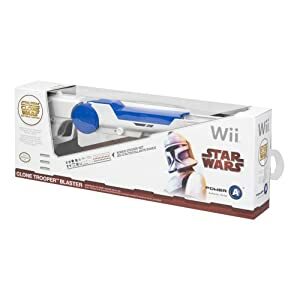 Pack of 2 Star Wars light sabers. This saber features 17 LEDs for the lighting system. 2 different color sabers are included - red and blue. This TRON themed limited edition, collectible controller is a must have for all Wii collectors. It features light-up accent lines just like the TRON suit/bikes.